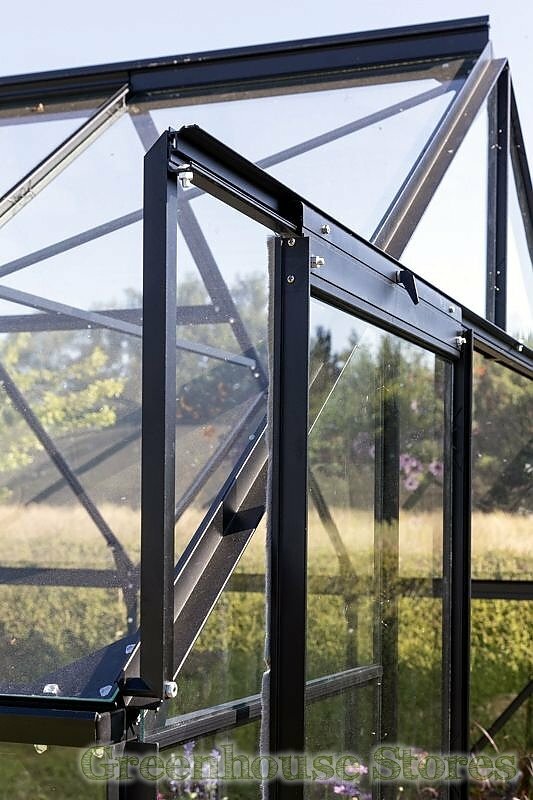 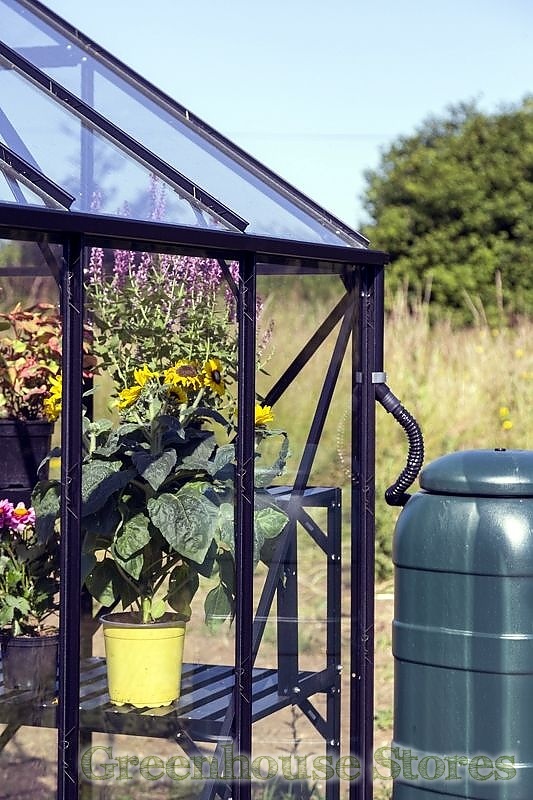 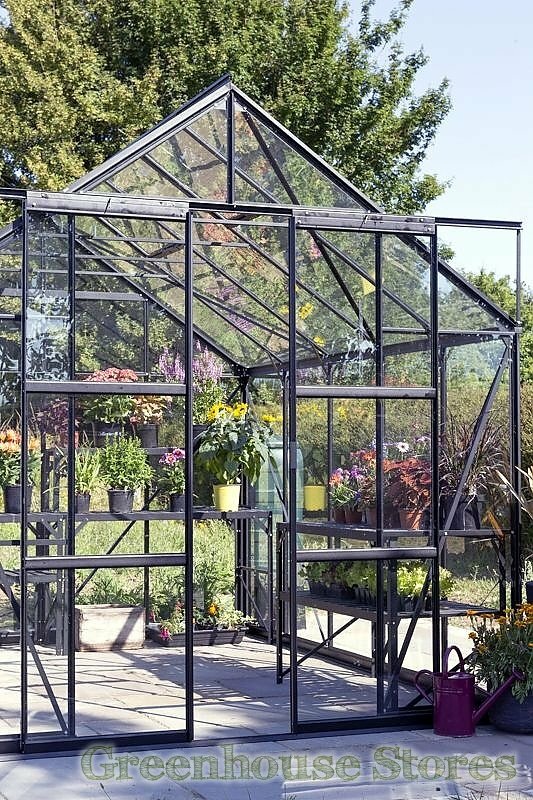 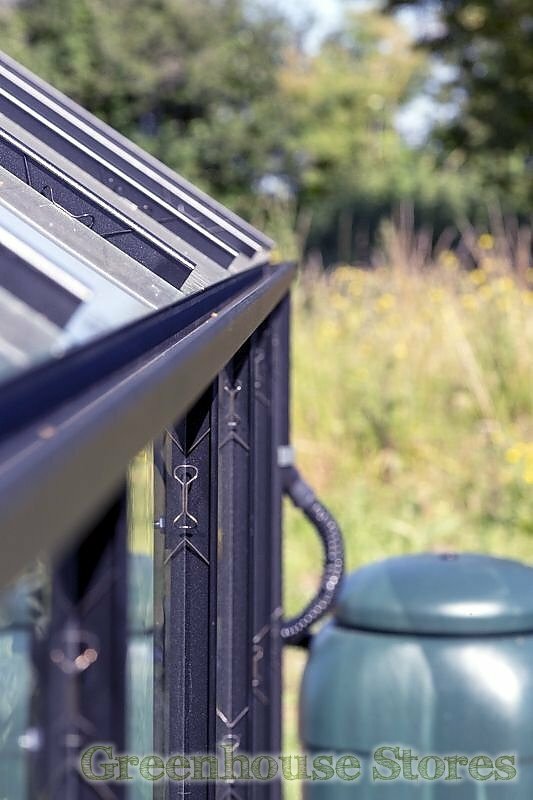 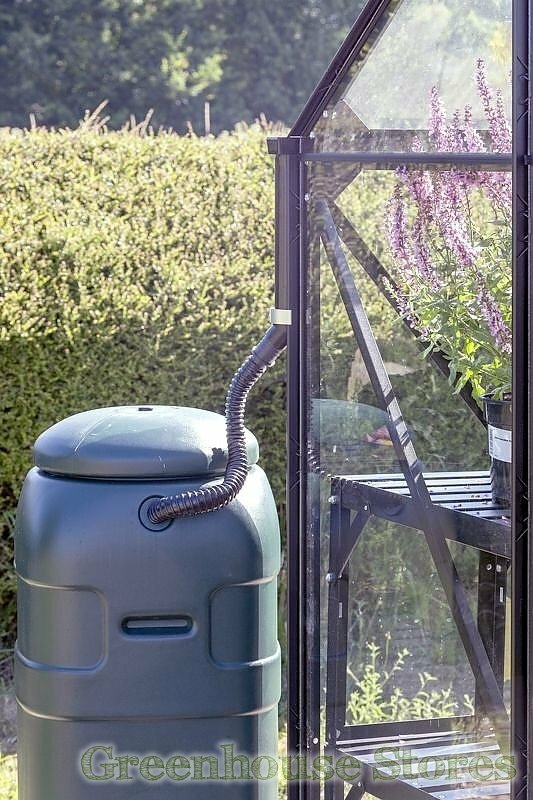 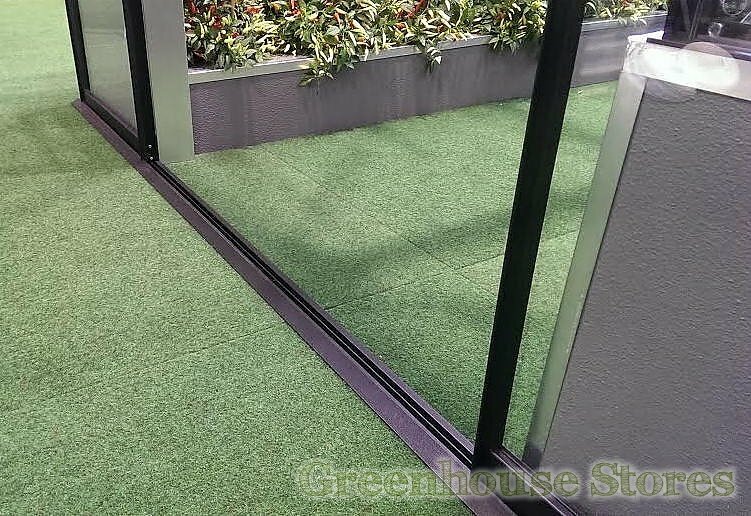 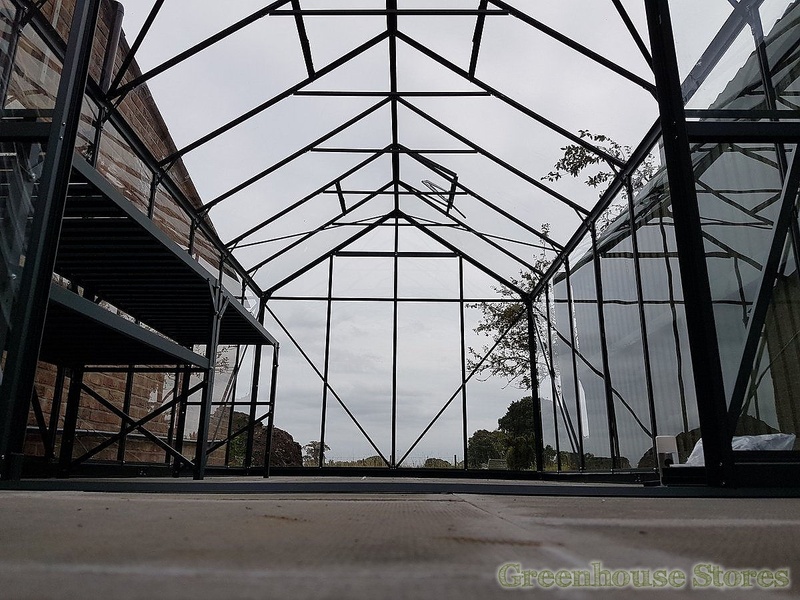 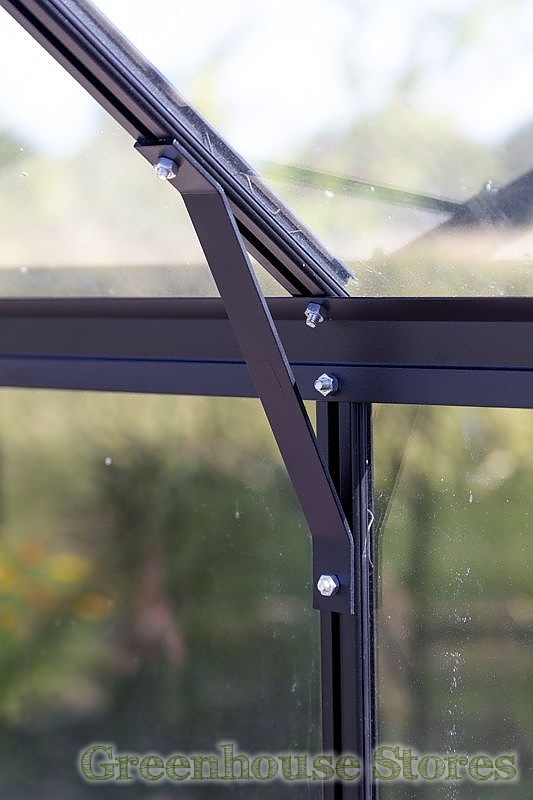 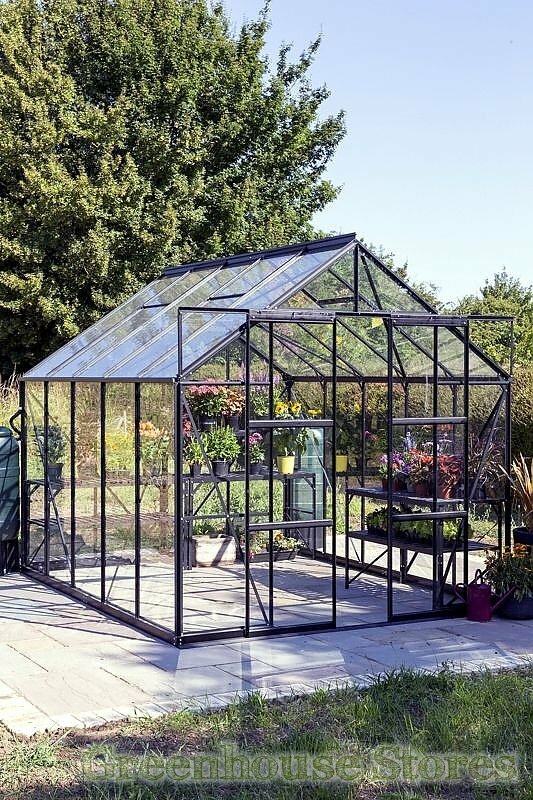 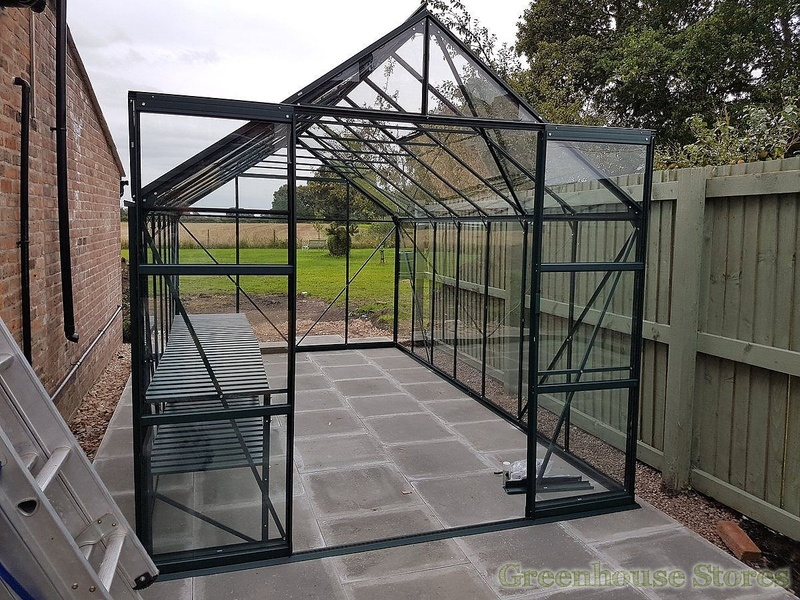 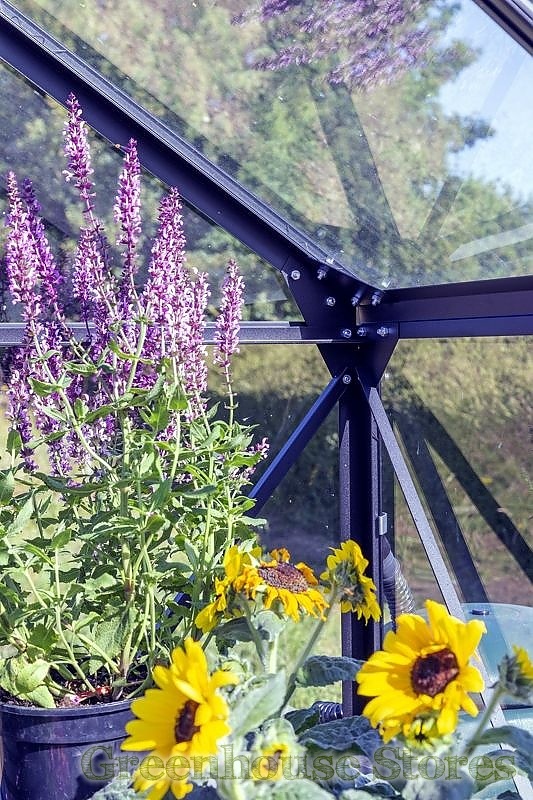 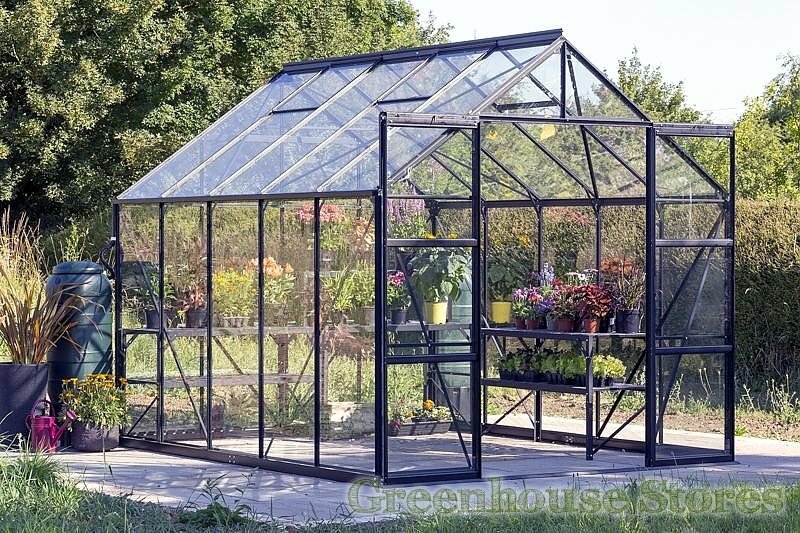 The 8x10 Black Vitavia Phoenix Greenhouse with full length toughened safety glass is a stunning greenhouse with it’s shiny black powder coated finish. 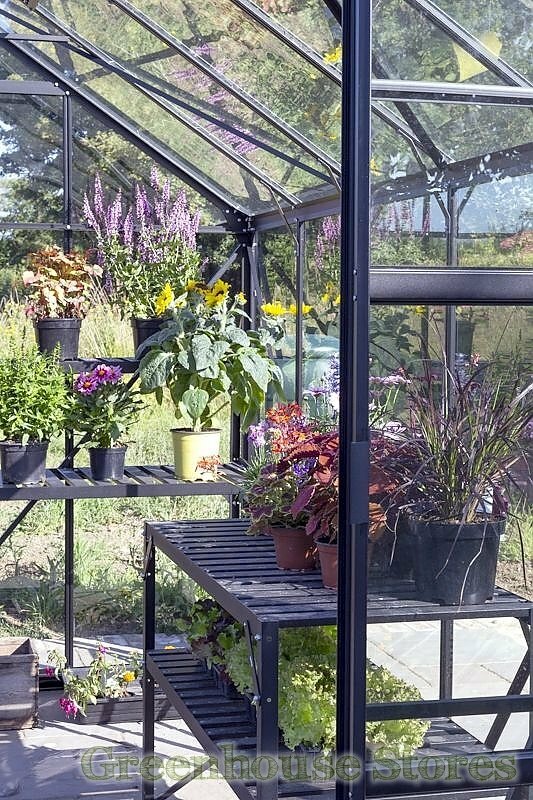 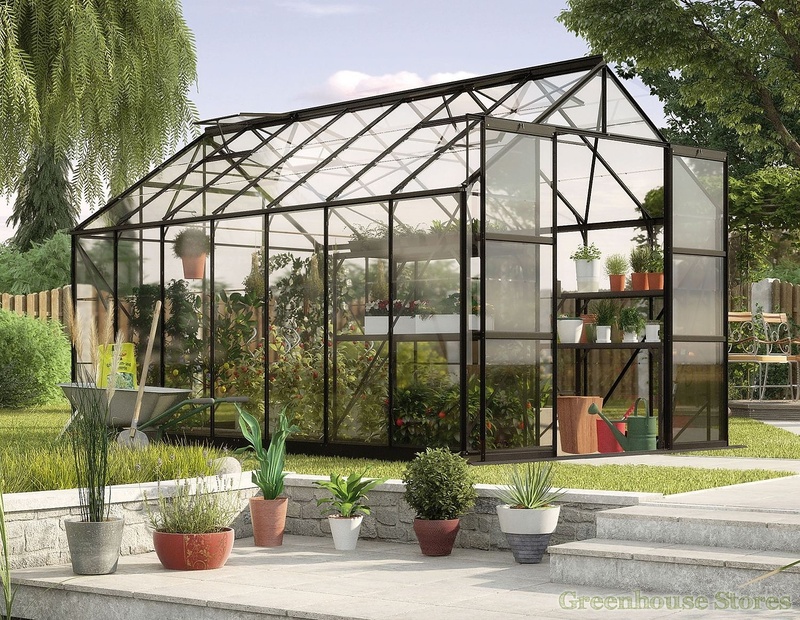 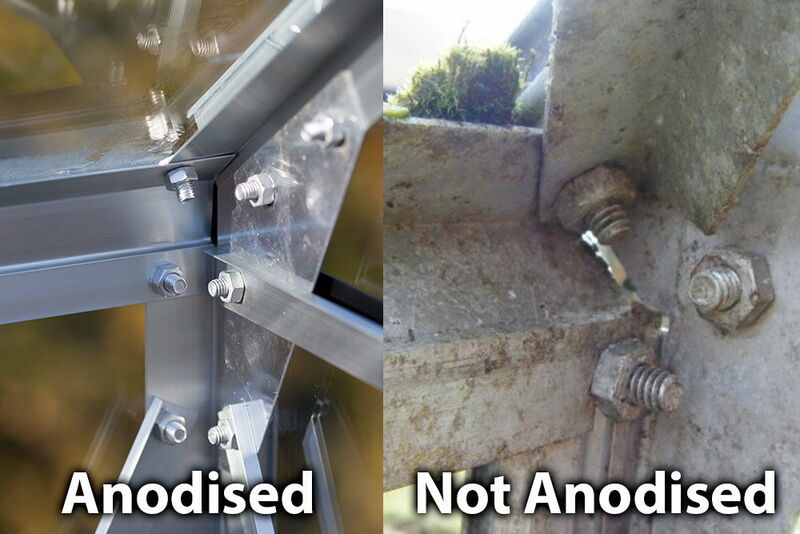 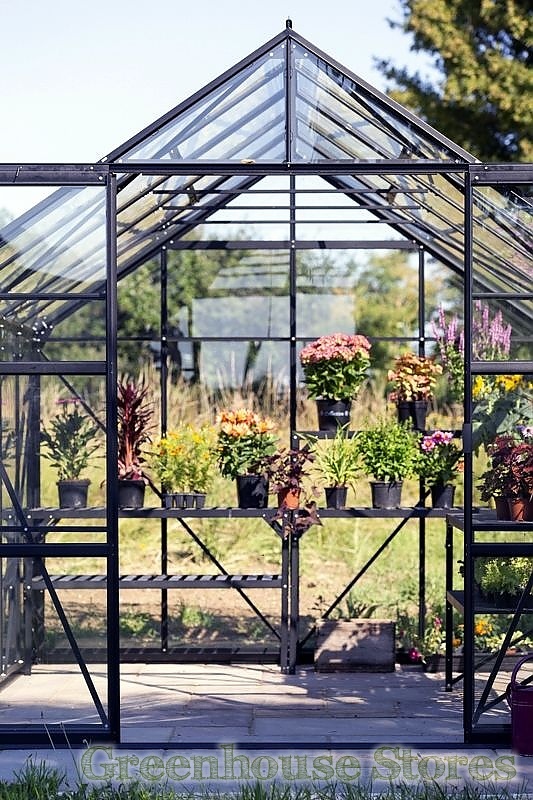 This greenhouse fit’s into any garden, traditional or modern. 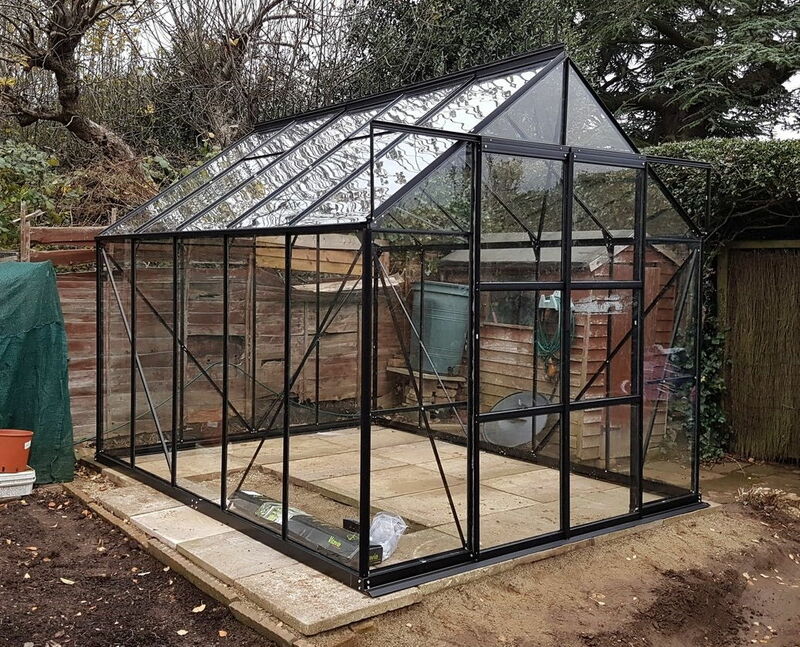 This black framed Vitavia Phoenix 8300 8ft x 10ft has 4 opening roof vents for good ventilation, a sliding double door as well as integrated gutters and base plinth.